Diseñador Gráfico, profesional, con 43 años de trayectoria. Trabaja en Epigrafa. Óscar Estrada (b. 1963) is a national and international award-winning curator, editorial art director and designer, photographer and writer born in Monterrey, Mexico, that is nestled at the foot of the Sierra Madre mountains in the northeastern state of Nuevo León. He began working with art director Felipe Torres in 1975 at The Creative Art Studio and opened his own studio called Epigrafa in 1991. Estrada is a former professor of graphic design at the University of Monterrey, the University of Nuevo León and Arte, A.C. He co-founded La Casa Ediciones (The House: Editions), a renowned, multidisciplinary atelier where he shared studio spaces with visual artists, photographers, and papermakers, among other artistic and culturally oriented people. In 1983, he founded the award-winning Packaging Design Department for the Gamesa Group, a consolidated company with brands such as Nabisco, Gerber and Lifesavers. 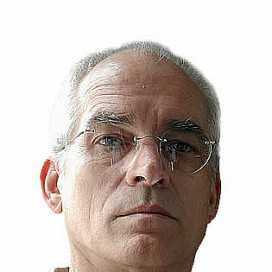 From 1987 to 1990, he was an art director for the Monterrey periodical El Porvenir. His studio designed an outstanding editorial project surveying the history of photography in Nuevo León, a book entitled Monterrey in 400 Photographs, for the Monterrey Museum of Contemporary Art (MARCO), commemorating the city's 400th anniversary. From 2003 to 2005, he participated as a photography curator and designer of the three volumes, Nuevo León: Images from Our Memory, an innovative project exploring visual heritage and memory preserved by the photographic arts. 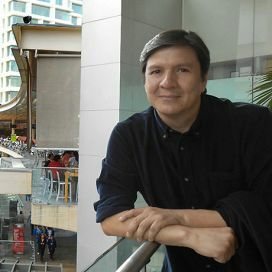 He has designed numerous publications and catalogues for MARCO, the José Luis Cuevas Museum, the Mexican History Museum, the Technological Institute of Monterrey and the Photography Archive of Nuevo León, as well as for local and national galleries, among other institutions and individuals. In 2008, he was the only Mexican art director invited to participate in the exhibition We Love Books! : A World Tour, organized by the Centre du Graphisme Déchirolles (France). Excelente, inspirador y clarificador. Todos los que hemos usado sus fuentes le debemos tributo a Garamond.